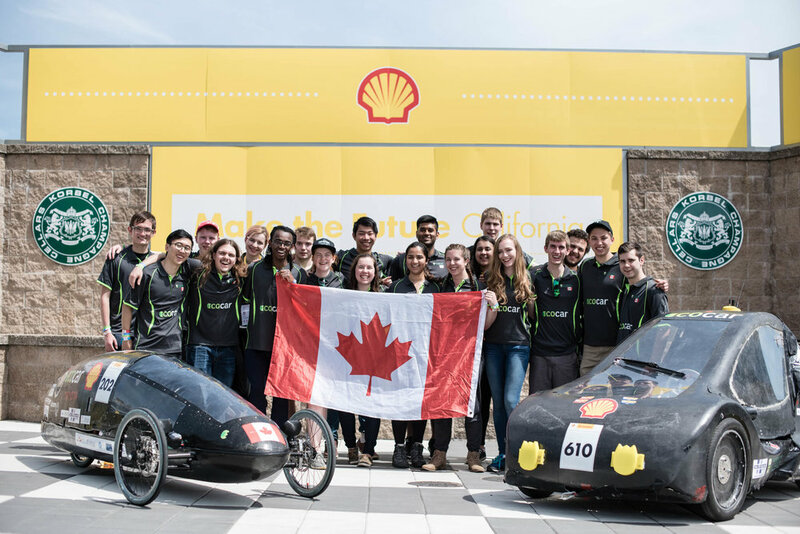 The University of Calgary Solar Car team and the University of Alberta EcoCar team are two great examples of Alberta students taking hands-on action to teach themselves and their communities about renewables and clean technology. 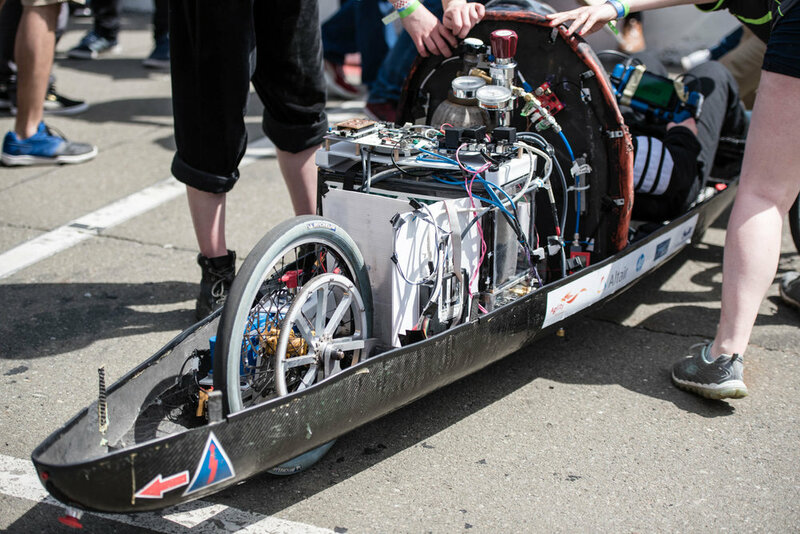 These student groups design, build and race solar electric and hydrogen fuel cell vehicles in national, continental and international competitions. The University of Calgary Solar Car Team aims to participate in several competitions, but primarily in a three-day race in America. The team is made up of 65 students in four main undergraduate subteams: Mechanical, Electrical, Software, and Business. Engineering Project Manager, Morgan Grab, says one of the team’s main objectives is to involve students in every step of the design, build and troubleshooting process, giving them hands-on experience through working on an electric car and with solar modules. 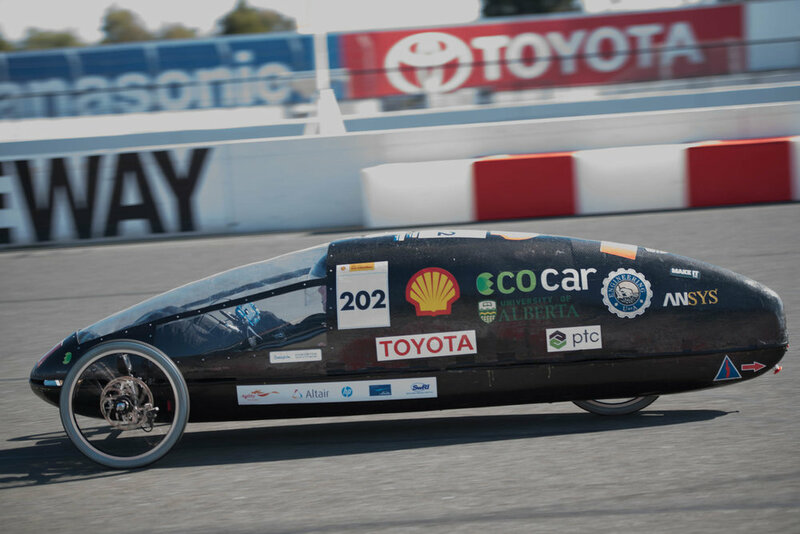 The University of Alberta EcoCar builds two hydrogen fuel cell vehicles: an urban car that emulates the look of an normal car, and a racing prototype. 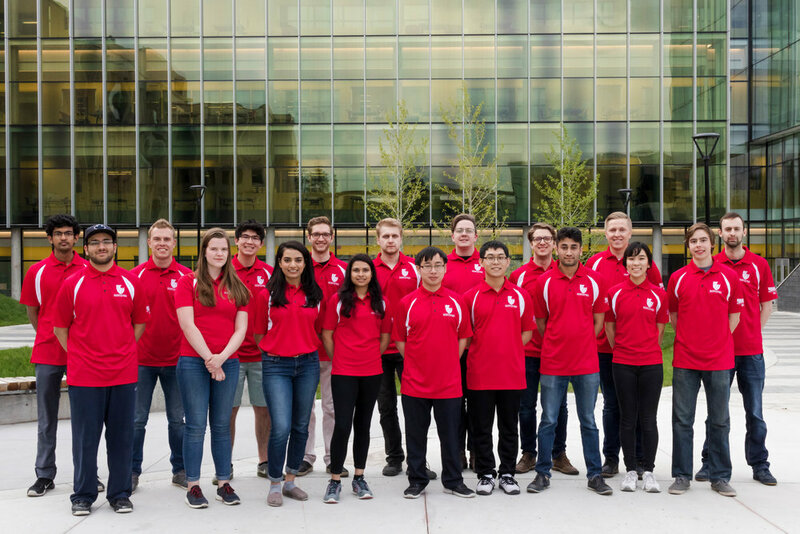 They compete at the Shell Eco Marathon, a continental efficiency competition in the U.S. Their team is composed of undergraduate and graduate students divided in six sub-teams totalling around 80 members. “If the members of EcoCar continue to work in Alberta, we can take the principles we have learned about sustainability and efficiency and apply it to wherever we work in the future,” he adds. These groups show things can be done differently, and students are ready to be a part of, and maybe one day lead, this innovation. “This is oil country. When people hear that students are doing something different with hydrogen in Alberta, it makes an impact,” Shivam says. For more information on how to undertake your own clean technology project, check out the resources page. Submit your new energy story here.